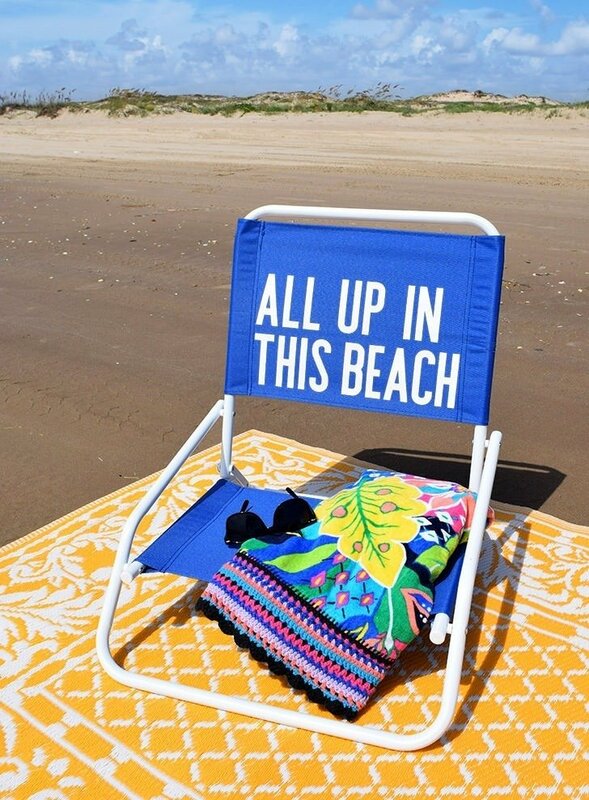 Sit in style at the beach! 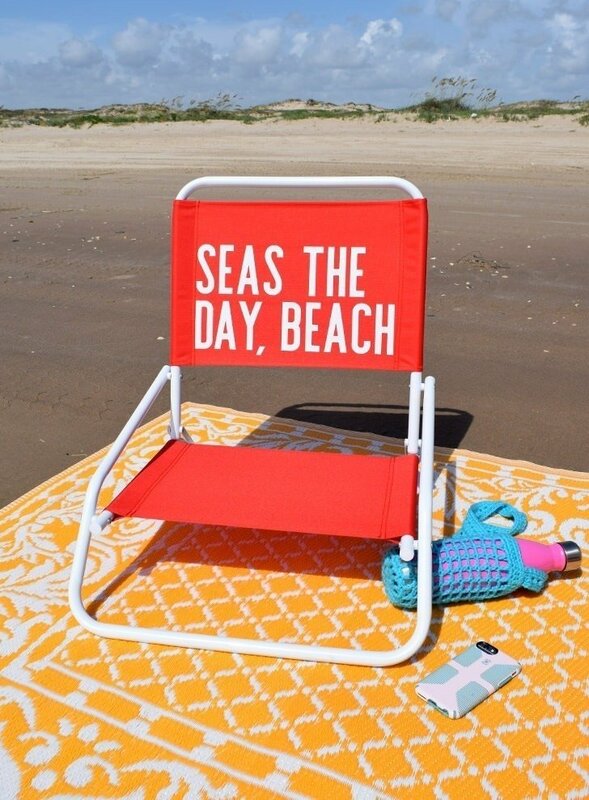 These cheeky chairs add a bit of sass to common sayings and will be the envy of all others on the sand. Seas the day, beach! There are some things about my new location that I’m not crazy about. It’s hot. Like, oh my goodness, I can’t even explain the discomfort in the height of summer heat hot. Right now it is early July and 91 degrees. Which seems not so bad, right? But apparently, it feels like 102 degrees. Oh, did I mention it’s early evening? And it seems like the shade is an imaginary thing here. After his first visit last year, my oldest nephew got home and was chatty with his parents about our summer vacation and spit it all out in run-on sentences of excitement (which is obviously hereditary). When he informed them “there is no shade” and “there are no clouds” and “it’s the hottest place I’ve ever been” I chuckled. It was later explained to me by another child that I live on the Equator and that’s why it’s so hot. That’s not actually accurate and I’m actually 1,720 miles away from the Equator, but kid, I feel you. But you know what I am crazy about in regards to my location? My proximity to the beach! I. Love. The. Beach. Just this morning Mr. Rob and I loaded up the car and headed out to Boca Chica Beach for a few hours of surf and sand and so I could take pictures of these chairs for work :) Though we’re really close to South Padre Island, we often will head out to Boca Chica to avoid the crowds and in the middle of the week it’s like our own private beach. 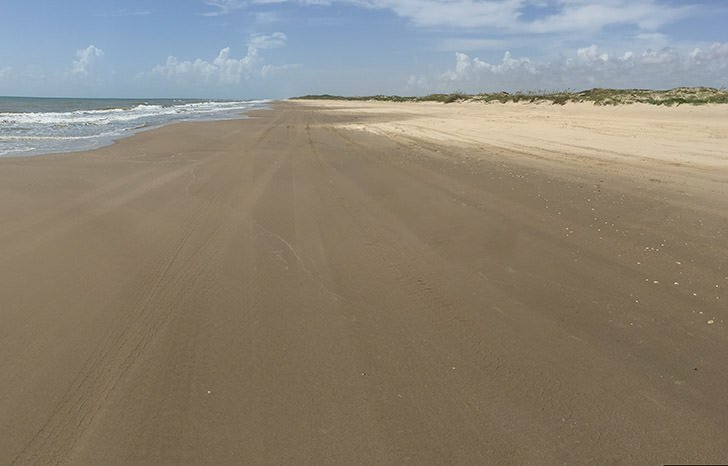 While we were out there I took a panoramic photo to send my family to show them our “private beach”. Cool, right? This side is to the north. See that thing sticking up way out there off of the sand? Not really, huh? At any rate, that’s the tallest condo building on South Padre Island. But I’ve gotten off topic, as I so often do. You came here for cheeky chairs. Want to make some? Well, seas the day, beach and let’s get to it! 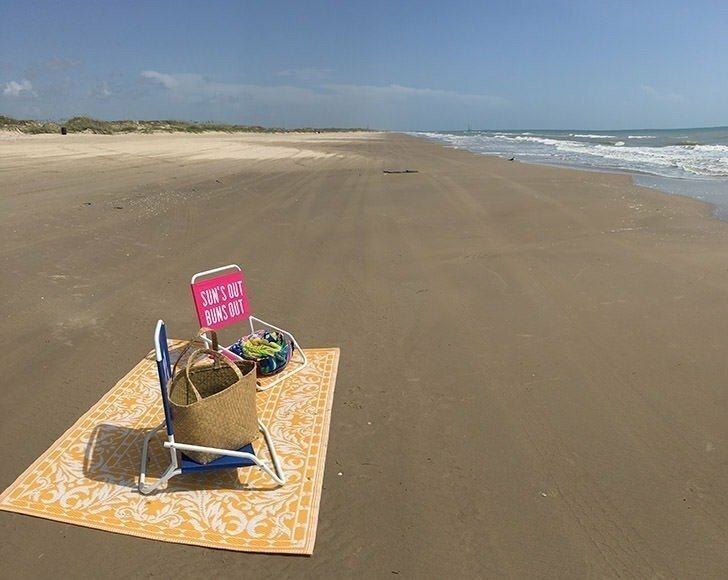 Don’t you just love that crochet edge beach towel? It’s a $6 Walmart towel I added the crochet edge to. 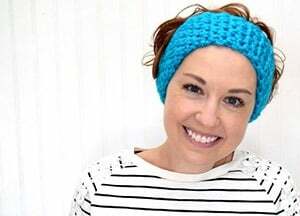 You can get the free pattern to make your own, here. P.S. This is my fave chair of them all! 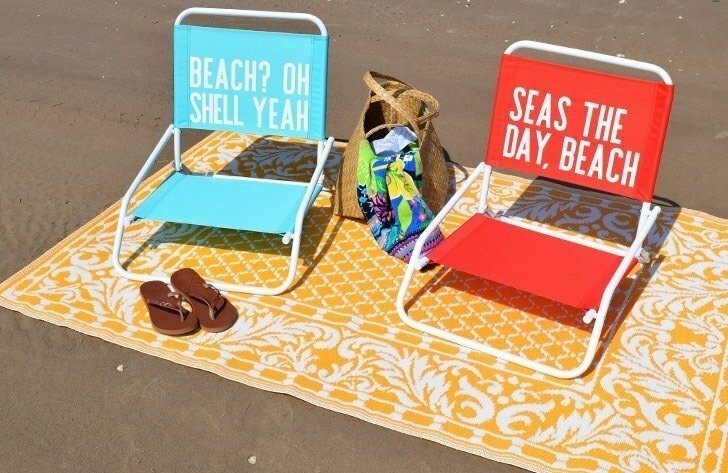 How to apply heat transfer vinyl to inexpensive beach chairs for cheeky beach fun is coming right up. I actually found these chairs hanging on a back wall at Target by complete accident. Sold for $10 apiece, I paid $8.50 with a 15% off outdoor stuff promo and purchased a total of 5. I’m not sure if I found them in the store because I live so close to the beach or if all Target stores are carrying them at brick and mortar locations this summer, but I did see them available online if you have trouble locating them in store. 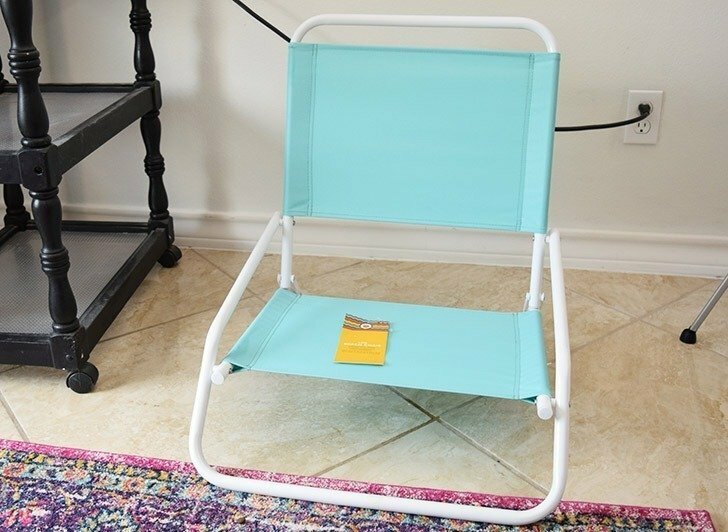 A chair by the same look is also available for $10 at Walmart stores, but I’ve only found them in the locations nearer the beach so I find it doubtful that you’ll find them with any regularity the more inland you get. If you love snark, and I totally love snark in situations like these, isn’t this chair just hilarious? 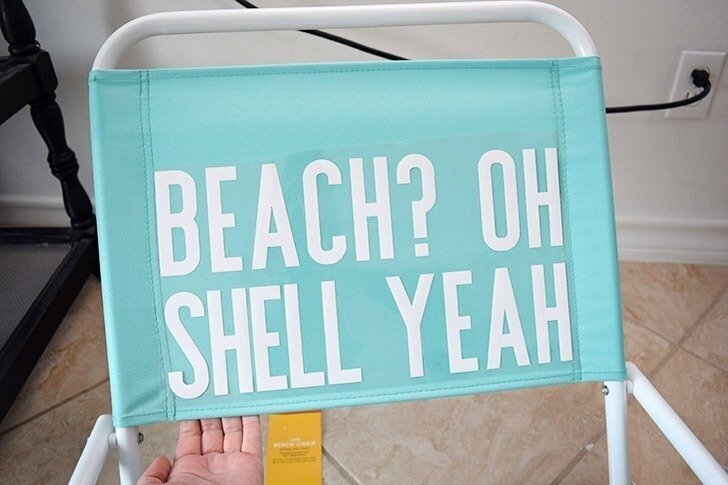 Remember that you can do any saying you want on these chairs so even if you don’t love the cheeky sayings, you can still personalize your own beach chairs with HTV. For the look of mine, I decided that I wanted bold, white letters to match the arms and legs of the chair and to really pop out from the colorful backs. I purchased the font “Prague” expressly for this project, but I’ve used it many times over now making it well worth the $15 I paid for it. I have several fonts by this creator on my computer and I am really a big fan. I’m sharing cut files with the sayings I used (and a few others I liked but didn’t have enough chairs for!) but if you want to use THIS FONT to make different sayings, you’ll need to purchase it. All up in this beach. I need my vitamin sea. That chair is working out well and you probably can’t even tell which one it is from the finished pics BUT when the wind blows sometimes sand sort of gets in around the edges and it’s kind of trying to work its way under the vinyl. While it works and has made it to the beach and back a time or two without an issue, really, the potential of it not sticking for the long haul makes it a semi-permanent option. Basically, if you just want your sayings for only a day or a month or a summer go everyday vinyl. You can get the directions for that method nearer the bottom of this post. 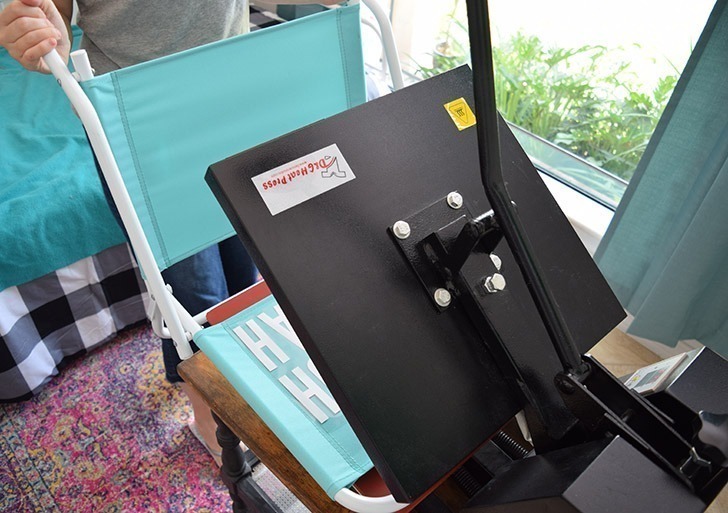 If you want to pull your chairs back out next summer and have them read the same sayings looking as fabulous as the day you made them, go HTV. I go through phases where I make a ton of shirts for friends or family, especially around particular events. One Christmas after my mom had said something about taking a photo in matching shirts I tasked myself with making it happen. About a week before we made the almost 14 drive to my sister’s house I started taking requests for shirt sizes and colors. And the time just disappeared from me and I hadn’t packed and I hadn’t wrapped presents and I sure as heck hadn’t made all of these dang shirts. It was SO WORTH it to me in that moment of tears over a hot iron that was taking AGES to transfer these designs onto shirts. 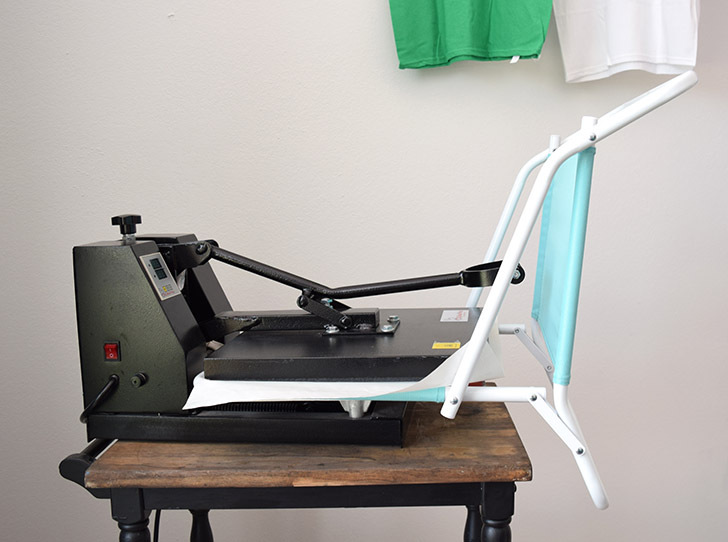 I purchased this 15-inch heat press and wouldn’t you know this sucker has gone down $30 in price since I bought it in December 2016? It works really well for me but it takes up a lot of space and it heats up the entire room it’s in. I’ve been using it in the guest room, which irritates the dog because that’s where he hangs out these days on the new guest bed, but it’s nice working inside the house. Sometimes I’ll work with it in the already hot as Hades garage but it’s just a miserable thing standing over this sucker in that heat that’s only getting worse. Wait, you don’t want to mess with the HTV business? 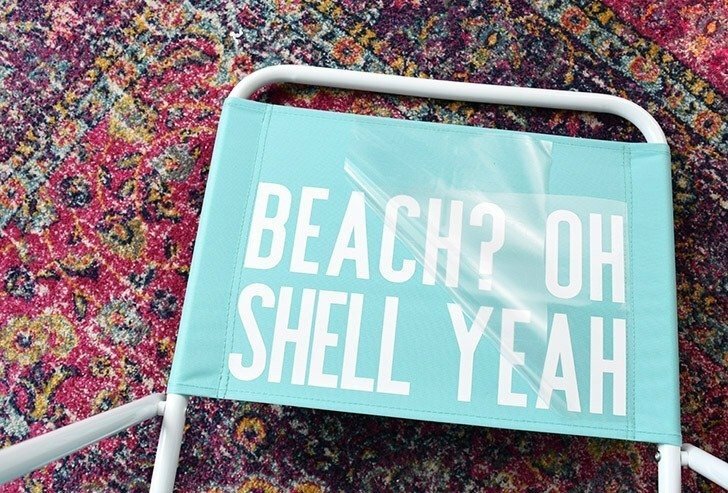 How to make Cheeky Beach Chairs with Regular Vinyl. 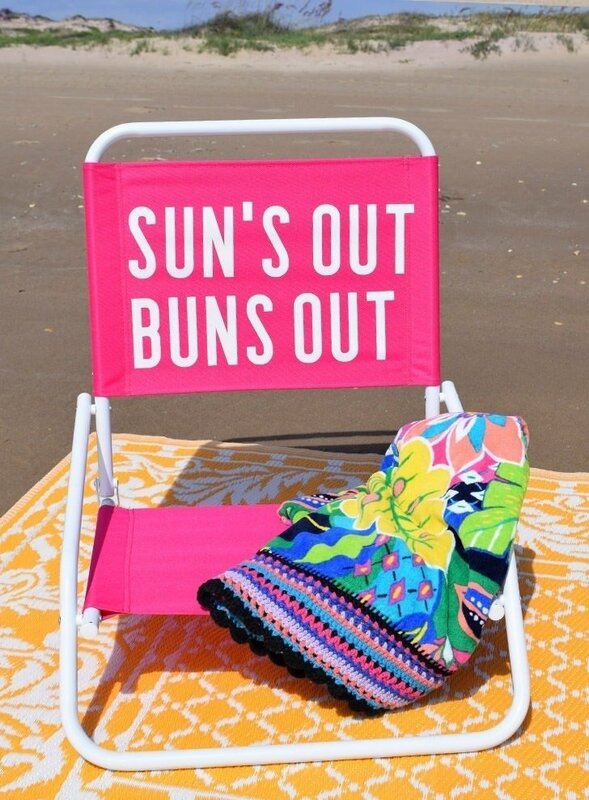 Suns out buns out! That pink chair up there is with regular vinyl instead of HTV and it totally works. To use regular vinyl, take your SVG file and import it into Cricut Design Space. Cut the vinyl out on an extended cutting mat. Weed and remove the unnecessary bits. Apply transfer tape over the top of the design using a scraper or an old credit card to really make sure it sticks. Use the transfer paper to apply the vinyl to the chair back and place the back over something flat and strong (I used some really sturdy decorative wood boxes). Use the scraper tool to burnish the vinyl onto the surface. You’ll need a lot of pressure so this takes some time but be patient and gently peel away the transfer tape over the areas that you have successfully applied. I’m so curious, so if you decide to use other sayings, I’d love to hear what they are. We brainstormed new ones on the ride home, but we didn’t find any we love more than what I had already made. Tell me your cheeky chair sayings in the comments!